Belarus and Lithuania have long been good neighbours, but that won’t stop the competition between them this weekend at the LTEAM Winter Challenge 2019 from getting heated. Still stinging from a loss to the hosts last year in the epic mascot competition between furry favourites from sports clubs and competitions in both countries, the Belarusian contingent has vowed for payback this year. 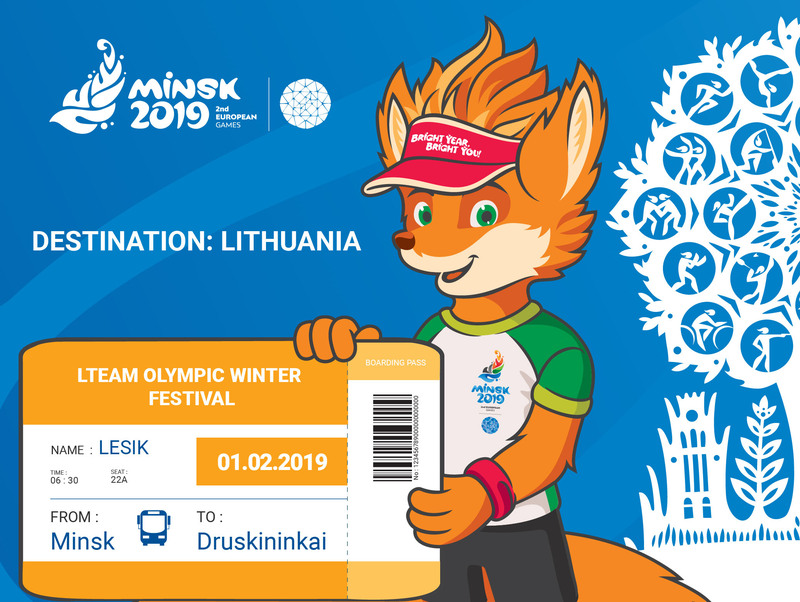 And they are travelling to the Lithuanian city of Druskininkai full of confidence, armed as they are with their lethal weapon – Lesik the baby fox, mascot for this summer’s European Games in Minsk. Far from being just another Fur Con, the LTEAM Winter Challenge is Lithuania’s largest winter sports and entertainment festival, featuring amateur and professional competition formats where athletes test themselves in orienteering, cycling, rope climbing, running, rowing, skiing, skating, puzzle-solving and other unique challenges. In addition to battling it out for supremacy in the mascot competition, Lesik is also on a mission to make friends and encourage people to come to Minsk for the European Games, which will take place this 21-30 June. Mascots from Belarusian sports teams were invited to take part in the festival last year for the first time. The LTEAM Winter Challenge is organised by the National Olympic Committee of Lithuania, the Olympic Fund of Lithuania and the Vilnius Challenge Association.